Our sumptuous Easter Sunday Brunch Buffet offers delectable culinary creations the whole family will enjoy. 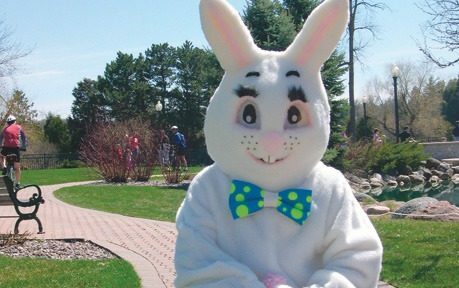 Special guest of honor, The Easter Bunny, will be on-hand to greet children at the workshops and Easter Sunday Brunch Buffet. The latest installment of Road America's 4 Mile Dinner Series. Join us for a fabulous night of casino-style gaming, food, entertainment, prizes, and a cash bar. Doors open at 6:30pm Gaming runs from 7:00pm-9:30pm and includes: • Poker • Black Jack • Roulette • Craps Disclaimer: Casino games are for entertainment only and ‘Chips’ may not be exchanged for any goods or services. The SVRA Spring Vintage Festival will offer race, vintage and historical groups for all SVRA classes including Formula 5000, Formula Ford, Sports Racing and production sports cars. Vehicles such as Lotus, Alfa Romeo, Jaguar, Porsche and Corvette principally from the ’50s, ’60s and ‘70s will be on track. General Parking is always free. Ages 16 and under are free with paying adult.